In Albania, in the hills of an 8,000 hectare national park. 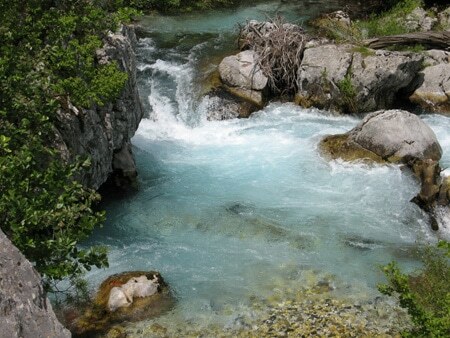 The region we’re in is named for the Valbona River, one of the cleanest rivers in the country and the river whose meandering path over millennia has carved out the said valley. 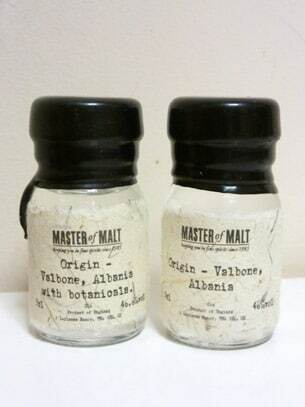 It looks rather beautiful from the travel website [Albania’s new frontier!]. Quaint, green mountains, cute little cottages and vibrant rivers. But we’re not there for this, we’re there for the juniper today. A little quiet at first, building sharply. Almost sweet though, warm dark cherry. Rich, but bracing and still somewhat sharp. Clean long lasting juniper flavor hanging on the edge of the palette. Somewhat sour and bitter, but still clearly juniper. As a juniper forward gin, this actually kind of works. I could see it mixing nicely, though outside of a martini the really interesting notes from the juniper will be a bit lost.